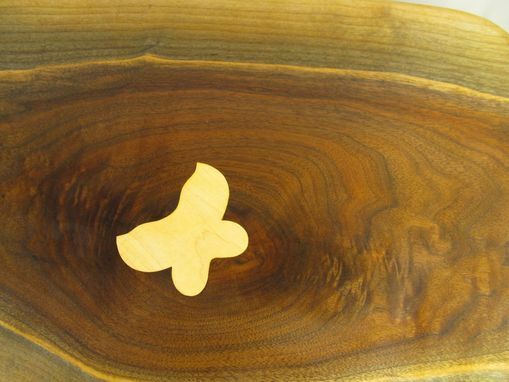 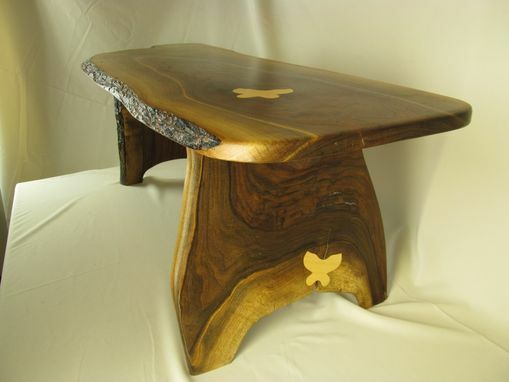 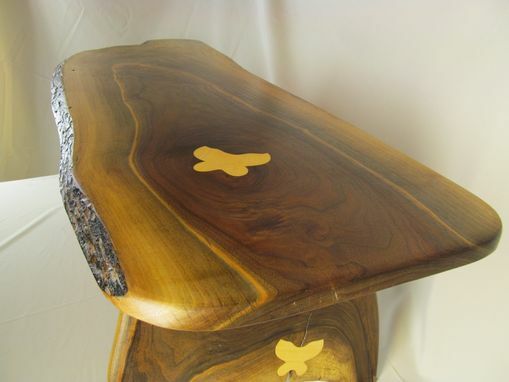 We have a walnut slab bench with inlaid hard maple butterflies up for sale. It measures just over 56'' in length, is slightly under 20'' in height and ranges in width from 16 1/2'' to 19 1/4." 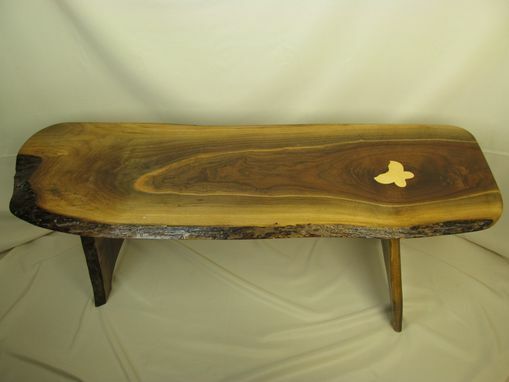 The bench is not small, but not so large as to be overpowering. 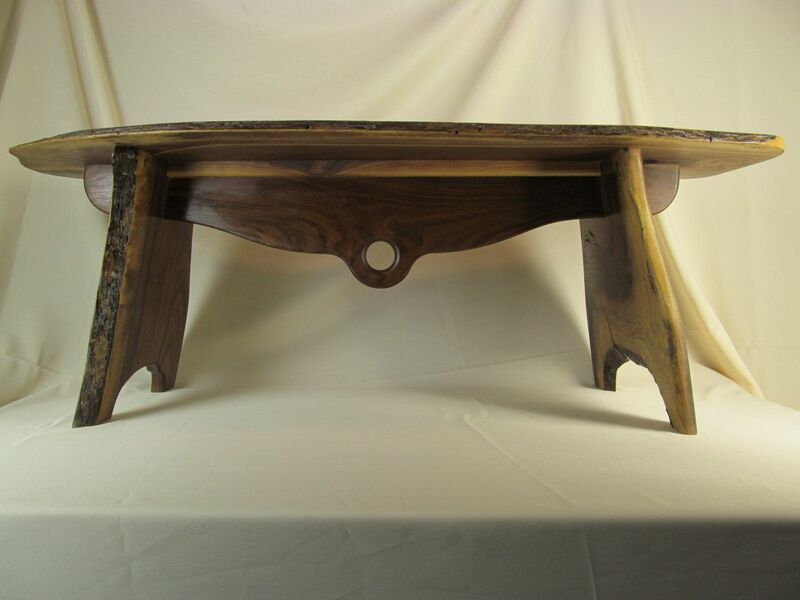 It is manageable in size and could be used to blend with an existing decor but is influential enough to serve as point of departure into another whole realm of possibilities.